RARE OPPORTUNITY TO OWN A FIFTH FLOOR DELUXE WATERFRONT UNIT IN THE HIGHLY SOUGHT AFTER, PET FRIENDLY, SMOKE FREE EMBASSY BUILDING AT TOWN SHORES! 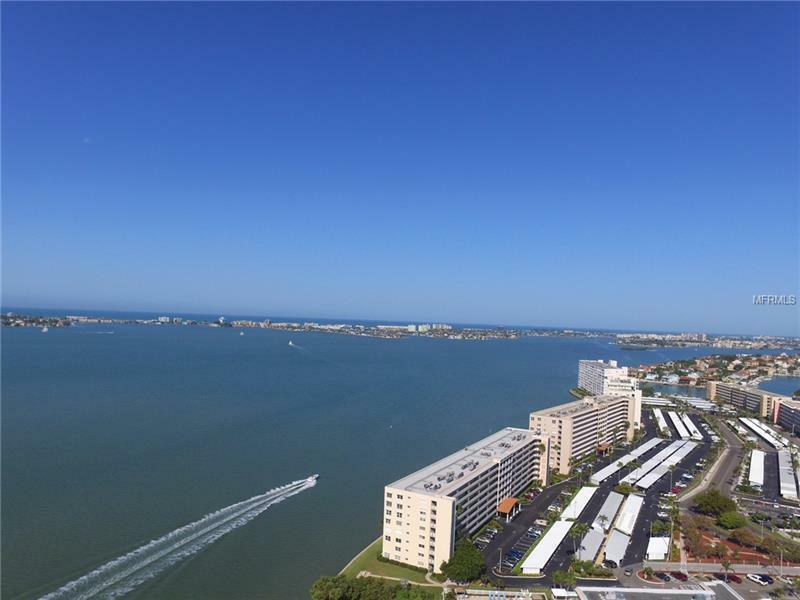 You will be sure to enjoy the daily shows from your big screen picture window featuring dolphins, manatees, seabirds, boaters, spectacular sunsets, and sparkling evenings overlooking the wide-open waters of Boca Ciega Bay. Resort style living will be yours with endless amenities and year round social activities, including, tennis, bocce, and shuffleboard courts, kayak storage with new kayak launch, new marina with deep water slips, clubhouse with ballroom, billiard hall, library, and fitness room, serene picnic and bbq areas, and 4 heated pools. The affordable monthly maintenance includes gas for cooking and heating, water, trash, basic cable, flood and building insurance, and even no cost laundry facilities! The meticulously maintained almost 1200 sq ft open floor plan offers an ideal location for a murphy bed and includes a half bath for guests, while the spacious master has ample closets and a private bathroom with a tub/shower. Hurricane shutter protection, assigned parking spot 93 out front, additional storage space, all within walking distance to historical downtown Gulfport with its quaint, eclectic, Key West flavor, Art District, Beach, Casino, Theater, Fishing Pier, Fresh Markets, Art Walks, Festivals, and Fantastic Restaurants, TOWN SHORES LIVING is a great find if you are looking for paradise and want to leave the real world behind, but not your dog!